A huge part of creating stand-out marketing collateral is having the photography to execute your vision. Our friends at Utah State asked us to bring their vision to life while ensuring the anonymity of their student-athletes. Immediately, we knew that using existing action photos may not be a feasible option, so we went to Logan and captured exactly what we needed! Going into the photoshoot, we knew that we were developing “shatter” theme for the 2016-17 Marketing Materials and we had a full list of all the projects that we’d be executing, but we knew that there would inevitably be new items that arise during the season. In order to generate enough content to apply to all of these projects (and then some), we created a highly detailed shot-sheet for each sport and captured as much as we could 30 minutes with each sport. 10 hours and 500+ photos later, we had what we needed for the season ahead. Handling the photoshoot allowed us to control the lighting and ensure that we had enough imagery for a robust campaign roll-out with components of the project across every imaginable medium. 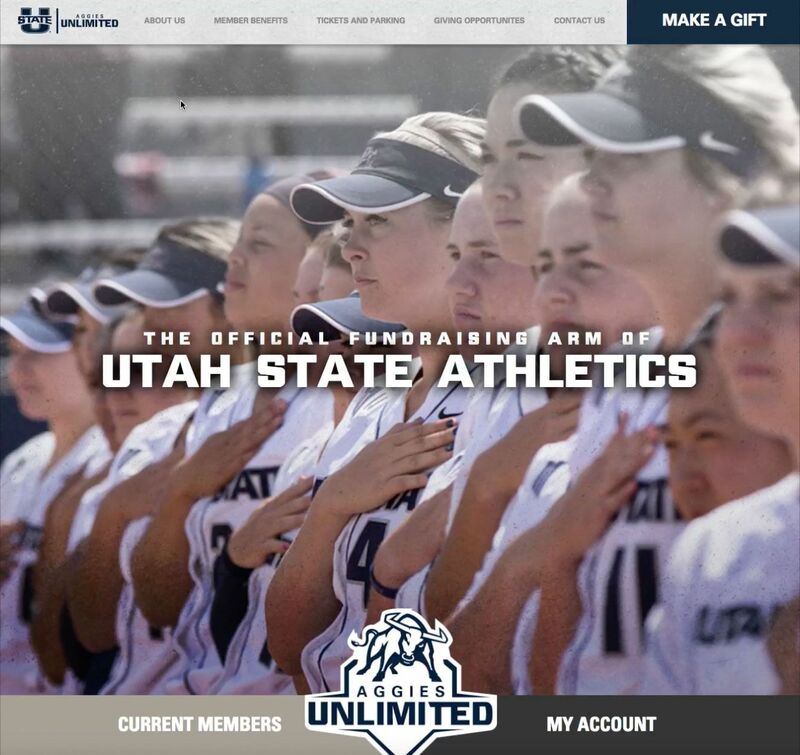 The goal was to allow their campaign to infiltrate every element of the Utah State fan experience – from schedule cards and ticket collateral to the signage found throughout campus. Once we got back to Charlotte, we immediately got started on 2016 Football Materials. The Schedule Poster would act as the public’s first introduction to the campaign look-and-feel and was the foundation for the entire campaign. As a result, we spent a great deal of time fine-tuning the look-and-feel and asked our friends at USU to scrutinize the artwork as much as they needed until they were 100% happy with its appearance. The added benefit of obscuring the identity of your student-athletes on all marketing is you can get started on the design well ahead of time. We wrapped up the Football projects mid-Summer and headed directly into Fall and Winter sports – less headaches during the season! It has been an absolute pleasure working with the team at Summit Athletics. They help us develop creative concepts while considering our feedback. They make our marketing collateral creation process a breeze with zero hassle and quick turnaround.